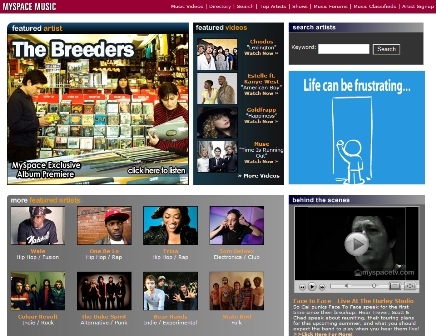 MySpace has teamed up with three of the four major record labels, Sony BMG, Warner Music and Universal, to make their catalogues available via MySpace Music. The move aims to convert the site’s existing audience of music fans into paying customers, by offering what it calls ‘the most comprehensive catalogue of music content available online’. With its reputation as an online destination for music, and an audience of 30m unique users, this move should provide some serious competition for iTunes, as well as Amazon’s recently-launched music download store. The site’s users will be able to purchase songs and ringtones from both the MySpaceMusic page and individual artists’ pages on MySpace. The promotion of previously unknown and independent musicians has been one of the site’s strengths, yet there is no word yet on whether MySpace will offer music from indie labels. Like Amazon, the downloads will be offered DRM-free, while MySpace Music will also provide ad-supported streaming of music and video. With Amazon and now MySpace Music, iTunes now has some real competition online, but with so many people locked into using iTunes and iPods it will be difficult to break Apple’s early dominance in what is still a nascent market. 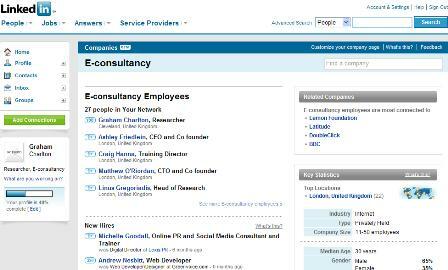 LinkedIn has launched another new feature, adding profiles of 160,000 companies to the professional networking site. Amazon this week introduced a new service in the US that lets customers buy products from the site by text message. With the new system, dubbed ‘TextBuyIt’, mobile users can text a product name, search term or ISBN number to Amazon, and will get the top two results from the search sent back to them.